Welcome to my part of the giveaway. I am giving away two copies of One more Summer by Liz Flaherty ( e-book). Grace has taken care of her widowed father her entire adult life and the ornery old goat has finally died. She has no job, no skills and very little money, and has heard her father’s prediction that no decent man would ever want her so often she accepts it as fact. But she does have a big old house on Lawyers Row in Peacock, Tennessee. She opens a rooming house and quickly gathers a motley crew of tenants: Promise, Grace’s best friend since kindergarten, who’s fighting cancer; Maxie, an aging soap opera actress who hasn’t lost her flair for the dramatic; Jonah, a sweet, gullible old man with a crush on Maxie. To enter, just leave a comment with your name and e-mail, and if you prefer mobi or epub. 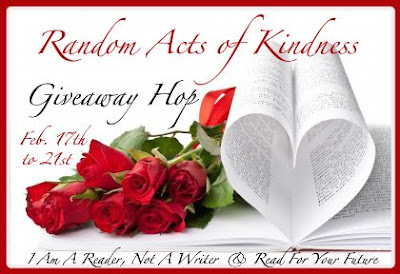 I’ll use All romance e-books for this giveaway, so make sure you have an account! Thanks for the giveaway. I do have an account and it’s for kindle. Sounds like a light, fun read. EPub Thanks for participating. Thanks for the giveaway, I prefer mobi. sounds like a good book ~ I have a kindle. Thanks for the chance to be included for your giveaway. I have a kindle so I guess that’s mobi, right? Thanks for the giveaway. I would prefer mobi. I have a Kindle account, thanks! ePub if I am lucky, please! Thanks for the giveaway! I prefer ePub. I would prefer the version for the kindle. thanks.